I’ve been having a lot of conversations with founders of AI & ML solutions that aim to boost the productivity of customer service and success teams, specifically, by integrating with existing support, CRM, and collaboration platforms. 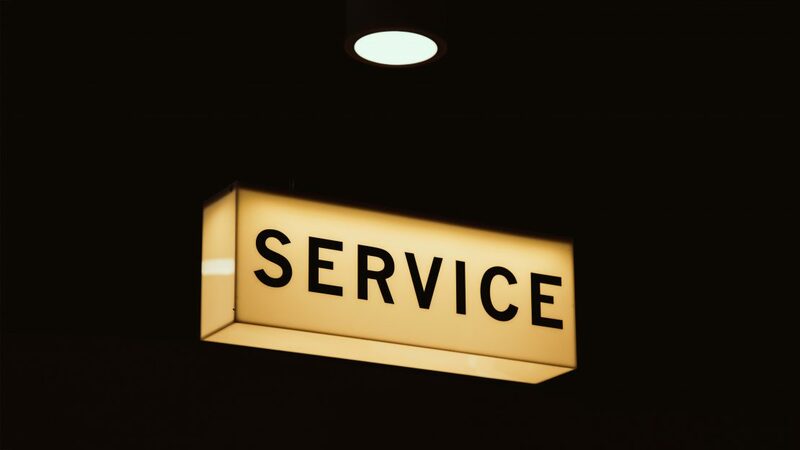 There’s enough activity in this space that I can see the need for a new category: Service Intelligence. We’ve had developer tools taking the stage for some time, in response to the automation DevOps requires. Maybe it’s time for customer success tools to have the spotlight now, as organisations respond to the pressure to automate customer interaction via conversational marketing and self-service chat. Here are a handful of off-the-shelf tools I’ve been scoping out the last few months, loosely organised by type. I know more about some than others, so I’m open to corrections, additions, and reviews, so please get in touch or leave a comment. Jatana is an add-on that learns from your case histories. Automated replies, tags, triage workflows, and hints can be configured in the back-end. Digital Genius’s AutoPilot product connects customer conversations with processes, kicking off full end-to-end resolutions of common case workflow, while CoPilot provides suggested answers for assisted support. Miuros learns from agent actions on cases to automate tasks, make recommendations and offer performance insights. MyraLabs has a semantic question & answer search engine that works together with automation to provide answers to known questions, follow-up missing field entries, and provide conversational support in place of forms. AnswerIQ takes a modular approach to addressing the various needs of customer support—like automating triage and common responses—where the AI plugs common gaps by integrating directly with the pre-existing CRM or help desk tool. Self Assist and Agent Assist take further steps to reduce ticket volume and resolution time, by building the machine learning training directly into the agent workflow to better address the pent-up demand in customer exceptions that Self Assist seeks to solve. Kaleo breaks down your knowledge base into relevant and consumable customer-friendly chunks, and is strong in ontology building. The team have been focused on ITSM, due to the repetitious nature of internal support work and the typical high volume of data, but has found an opportunity to automate classification through machine learning. Classifying cases is often still manual and prone to being ignored by the agent when classification is not obvious, and poorly planned by the organisation, resulting in the over-abundance of choice that makes problem management and reporting a sideshow alley guessing game. By applying machine learning to classification, Kaleo aims to have a more accurate understanding of trending issues, to build more effective self-service. Elevio concentrates on driving effective in-app support. Analytics and machine learning provide suggested answers, automated keyword selection and identifies knowledge gaps so you can offer contextual help right at the time and place of need. While, they don’t mention it on the site, Elevio’s founders are well aware of KCS and I wouldn’t be surprised if more enabling functionality makes it into the tool over time. Guru offers a Slack bot and a browser extension providing easy accessibility from wherever you spend most of your time. Guru provides functionality for domain experts to verify knowledge articles and for search results to be prioritised by popularity score and filtered by tags, categories and collections. This is my pick if you’re in a chat-ops environment. Squelch integrates with popular SaaS customer support tools and provides learned, contextually-relevant interactions with the distributed knowledge sources that support agents need to be aware of but often don’t have time to synthesise on the go. Appearing within the support app, it saves your agents from having to search around multiple sources and come back to the ticket after disappearing down rabbit holes. Automate.io manages the integrations and workflows you set up. I’ve tested out the Hubspot/Mailchimp integration by adding customers to my mailing list when I check the box on a contact property. That’s a basic application, but you can build something more complex. MonkeyLearn can be integrated to Zendesk through a direct integration or to other support tools through Zapier. Using MonkeyLearn you can automate manual tasks such as, automatically tagging and prioritising incoming tickets, and gather reporting. BrightReps is an agent-focused customer support tool that integrates with common SaaS CRMs and support platforms, and is centred on streamlining process. While most emerging agent-side tech is giving much-needed attention to search and knowledge base automation, BrightReps is putting effort into making workflows better. Addressing this area is a boon to those with multi-step processes that may be dispersed throughout a platform, and perhaps even, across several. It not only acts as a kind of clickable process guide for the agent, it gives management insight into where process and resource bottlenecks are (through process maps with traffic-light indicators)—which is something that often only gets surfaced by expensive consulting firms performing time and motion studies. This is my pick for the behind-the-curtain magic. Idiomatic analyses your customer interactions across dispersed channels to provide dashboards of feedback data and sentiment analysis. Clarabridge is a customer intelligence platform offering survey tools to capture data, survey customers, employees, website users and more. According to Gartner (and their own website) their unique strength is analysing emotion in text and speech. Medallia offers customer experience management software for Software as a Service and b2b markets, and aims to increase customer engagement, employee collaboration, and optimise customer experience. Directly – a crowd-powered AI platform that helps companies to build networks of affiliates answering customer questions. This is a pretty fascinating idea and would be ideal for products with a big ecosystem of users, partners and employee-advocates. I’d love to know more about the compensation model, so if you’ve had direct experience with Directly, I’d be glad for your opinion. Unbabel takes advantage of machine translation, integrating with common platforms to provide crowd-improved translations of multi-lingual knowledge bases, chat, and tickets.